The barbecue Verticook® is beneficial for the environment. Complaints from your neighbours for the thick smoke (containing PAH) and invasive smell created by the combustion of fat falling on incandescent embers will vanish for ever. 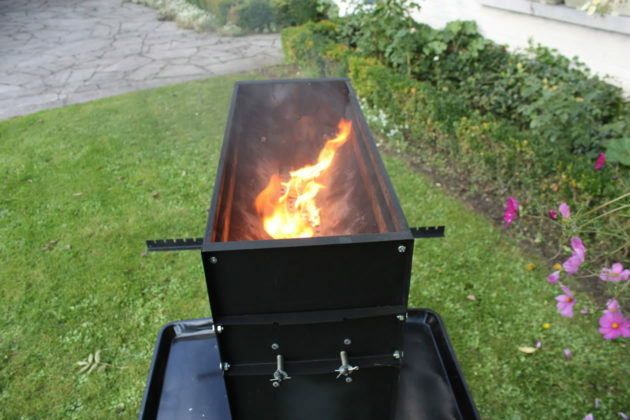 Consumption of charcoal is minimized thanks to the narrow fire box and the possibility to organize the cooking phase by setting the fire to a slow burning mode.